Karen’s invitation for the second week of Slow Fashion October was to talk about handmade, living with less, choosing quality over quantity, capsule wardrobes and indie fashion and sustainability. First of all, I’m realising that for a couple of years now, every month has been slow fashion month for me. The goal every season was to reduce my wardrobe as much as possible and to only bring in garments that I really loved and used all the time. I haven’t bought any new garments for the better part of this year and when I did was to buy winter garments that I needed as I changed countries. I’ve focused on making fewer things and taking more time in planing and making them. When I’ve made something I knew I wasn’t going to wear a lot, I’ve donated it. Like this mint knitted t-shirt. In the next week I want to donate or repurpose some of my fall-winter sweaters and give away a few pairs of pants. I’ve started knitting, which is so much slower than sewing. It’s something I used to dislike, but I’ve found it to be very rewarding, especially when paired with audiobooks. I find having less stuff eliberating. Keeping only clothes I really like and wear is very practical. As is keeping only the amount of clothes that fit comfortably in my closet. During the summer, one of my produest acomplisments was sewing the Adelaide dress. I used a fabric I had bought on holiday, two years ago and it was great to use it for something I know I will wear a lot. It will have to wait until spring for now, but it was great to make and great to wear. Two other items that I wear all the time are my two leather jackets. I bought my black leather jacket maybe 5 years ago and I’ve worn it a trillion of times. Same with my brown leather one. They were not cheap, but they were a bargain if we’d look at cost per use. 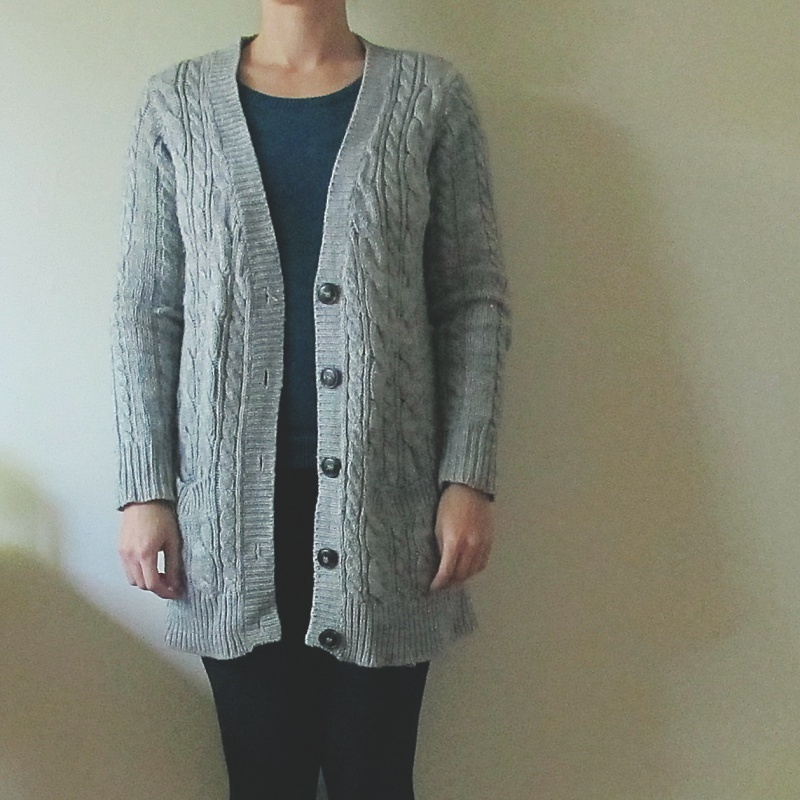 One of my most frequently worn items last winter was an old, grey wool cardigan that is starting to show it’s age. I would love to be able to make one just like it, maybe from the wool of another sweater I don’t wear that much anymore. One thing that I’ve sewn recently and love is a house robe made with the softest micro-fleece ever. 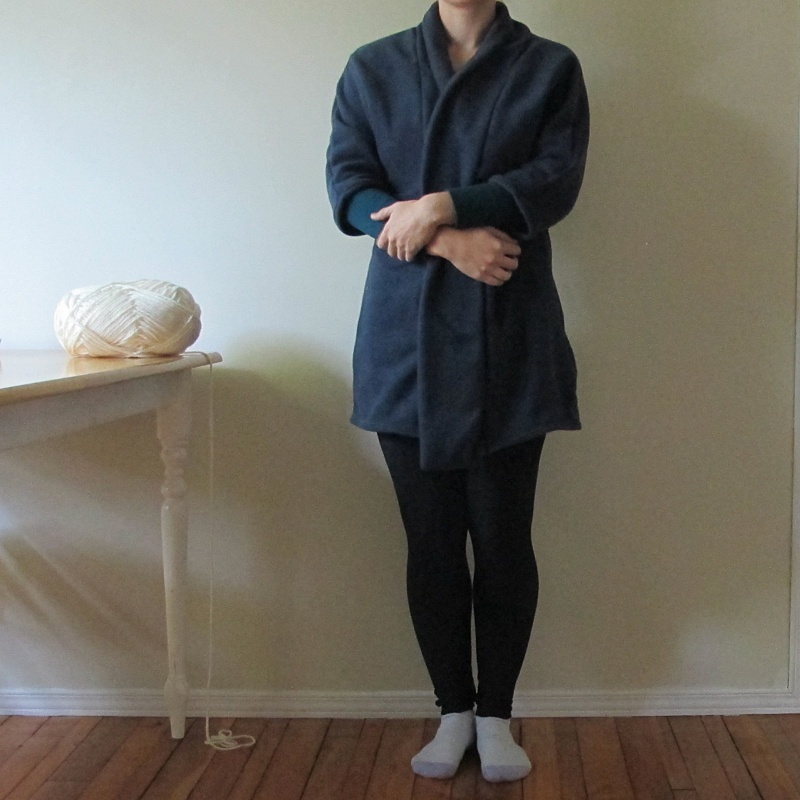 I’ve used the Oslo by Seamwork coat pattern alteration and made a big fluffy, 3/4 sleeved robe that’s super warm and wonderful and makes me feel proud when I wear it. I would have never been able to buy this: this fabric, in this colour, in this exact size and this exact pattern.